I’m a squishy. Hence I don’t like horror movies a lot. Or at least that’s what I always have claimed. I’ve never bought into the idea of voluntarily exposing myself to movies intended to make me feel uncomfortable, nauseous and depressed. Admittedly I’ve watched a handful of horror movies over the last year that have been to my liking, films such as Buried, The Exorcist and Rosemary’s Baby and before that Let the Right One In and Pan’s Labyrinth, which both are favourites of mine. But each time I’ve come across a scary movie I’ve liked, I’ve also told myself that it was just the exception to confirm the rule, a temporary expedition into a territory I generally dislike. This weekend it happened again: I watched a movie with a “horror” label attached to it that pulled me right into it from the start and spit me out two hours later – touched, scared, delighted and upset at the same time. And I think it’s about time that I start to reconsider my stance on the genre. It seems as if I’m not quite as fragile as I’ve imagined? It’s obvious that he genre has a lot more to offer than shock value. The movie that took me out of my prison of prejudices is The Orphanage, which I would describe as a combination of ghost story and drama with a couple of jump-scare scenes added to spice it up a bit. IMDb actually doesn’t use the word “horror”, but calls it “drama, mystery and thriller”. However I’m not in doubt about which genre it belongs to. It’s dense with a scary atmosphere. (My mother, who is a 68 year old die-hard horror fan and has seen a ton of movies still called it one of the creepiest films she’s seen up to this date). At the same time you’d be surprised at how little blood, gore and visual shock that has been used to create the dread. 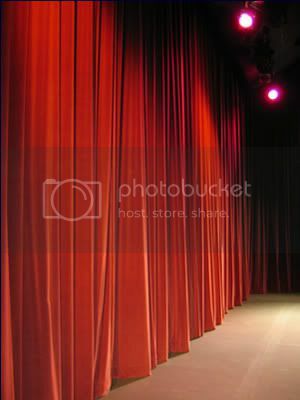 The atmosphere is built on anticipation instead of exposure. It grows in the shadows in the corridors of the old house, where unknown entities dwell behind locked doors. It grows in the secret and dark corners of people’s minds. And it also reaches for something else. As thrilling as it is, it’s also very sad, very touching and very beautiful, more than once bringing me to the verge of tears. I don’t word too much about the plot, in case you haven’t seen it, but I’ll give you a few of the characters to give you a picture of what kind of fairytale this is. First there’s the mother who grew up in an orphanage in an old house, who now wants to re-open it to disabled children. Then there’s her son Simón who says that he has invisible friends. There’s also an eerie woman and a child that freaks me out (don’t they always?) but I refuse to tell you who or what they are, that you need to find out for yourself. There’s the father, who appears to believe more in science than in the spiritual world and who drifts away to the periphery of the film. And finally – as it should be in a classic ghost story – there are shadows from the past and a house that almost is an entity of its own. « Did you know that Hugo Weaving looks great in a dress made of beach slippers? Great flick, check out The Loved Ones if you can. It’s a bit gory but you may like it as well. Thanks! I haven’t heard of that, maybe something else I can watch with my mother. If you liked The Orphanage, you might also try The Devil’s Backbone. Or… the classic Japanese ghost stories from the Criterion Collection are great- Onibaba, Kuronenko, Kwaidan, and Ugetsu. Or… really, there are a lot of great directions you can go. The misperceptions about the genre drive me a little crazy and I’m so glad to see someone breaking down that barrier. The Orphanage is a brilliant film. I am the same as you about HORROR Jessica, but I always give Del Toro a chance as he is normally a great story teller. Glad you liked it. In this case I think he’s a supervisor/producer of some sort. But I can definitely sense the kinship with Pan’s Labyrinth. They’re both mixing reality and fantasy in a great way. One of us, one of us… 😀 Glad you have come around, there are a lot of great horro movies out there. 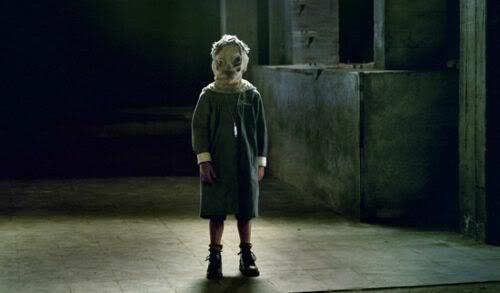 I wasn’t blown away by The Orphanage but it was a very competent little movie right up til the end. You’re the expert here, so hopefully you can guide me right, towards the good storytellers, such as this one. Sounds like we’re in the same boat! I’m not a huge fan of horror as I don’t really want to spend a couple of hours enveloped with dread and terror. However, every so often a film comes along that draws me in, and, like you, The Orphanage did that. Above everything, it was just a good story, which a lot of horror films seem to forget. I enjoyed The Others too, as well as The Descent, although that’s a little more gory. Exactly! Good storytelling is essential. If it’s only about shock and effects, it’s not for me. I haven’t seen The Others, but it comes up as a recommendation at IMDb for people who liked The Orphanage, so I reckon it’s something I should check out. Can you be a moviebuff and not know genres? I’m also a big fan of True Grit, No Country.. and Brokeback Mountain, though I watched all of those before I started this blog, so I haven’t written about them. I definitely should see Once Upon a time though! As you know Jessica, I’m a horror faniatic, but even I am disillusioned with all of the gore and horror tropes that are trotted out again and again. I look for horror films that depend on character development, and my favorite type of horror film is the ghost story. The Orphanage, The Devil’s Backbone, along with the traditional films (The Haunting, The Innocents) are good places to start. But recently, I have become enamored with the films of Ti West (House of the Devil, The Innkeepers). I just wrote a review of The Innkeepers on our blog…this is the best slow-burn paranormal ghost story done in the last 10 years, bar none. And neither of these films have high levels of gore. If you wish to challenge yourself a little more, check out the films of Lucky Mckee. “May” is one of my all-time favorites (a redux of Frankenstein), and Mckee’s “The Woman” made it on my ten best list last year, though I will warn you about that film…the last 10-15 minutes are gore filled (personally, I thought he went over the top), but the preceding 90 minutes are the most disturbing depiction of male abuse on film, and the movie is definitely pro-female empowerment. Thanks for the visit Karl and also thanks for all the good suggestions! I don’t think I’ve seen anything of those. And I need to come to your place more often. I subscribe for your feed, but once in a while you need to check in useing a proper interface. I forgot about westerns!! Several good ones have already been suggested (Tombstone, Silverado, Leone’s Dollars trilogy, etc…. Personally, I’m much more a fan of the “acid” or revisionist westerns, those that came out in the 60’s and 70’s- in response to the traditional John Wayne westerns (which I’m not a fan of, except “The Cowboys”, which I heartily recommend). A couple of my favorites are “The Shooting”- Monte Hellman’s 1966 acid western starring Jack Nicholson, Warren Oates and Millie Perkins- very existential. Also, I suggest Jim Jarmusch’s “Dead Man (1996)” starring Johnny Depp & Robert Mitchum, and also “Jeremiah Johnson (1974)- Sydney Pollack’s film about a mountain man in ND, starring Robert Redford. I haven’t heard of those movies, thank you for the recommendations though! To me westerns is mostly connected to Cling Eastwood. I remember I enjoyed Pale Rider, but eventually it feels as if it’s the same thing over and over again. I know I’m unfair though. I should give the genre a chance. I enjoy a good horror movie, but I generally find that there are very few horror movies that are actually good. The Orphanage was one of those good ones though. I see some people have mentioned The Others, which is another really good one. I’d like to add the movie Orphan to the mix! That was one creepy movie! I’d second whoever mentioned True Grit for Westerns. I’m not fond of Westerns myself, and rarely (if ever) watch them. In fact, I’d never even have watched True Grit, if it wasn’t for my brother making me. And I don’t regret it. The movie turned out to be incredibly enjoyable! However, due to my lack of love for Westerns, I think that’s the only one I have to recommend! I’ve seen True Grit (The Coen remake, that is) and I was a big fan of it. I just loved Hailee Steinfeld’s screen precense (as did so many others). You know, I struggled to figure out what genre exactly this film belonged to when I saw it. Such a beautifully told ghost story. Truly chilling in places, but equally as moving. I recommend you watch The Devil’s Backbone. It’s another ghost story, from Guillemo del Toro. Very much falls in the same vein as The Orphanage. A great little film. Thanks! I need to check that out. I’ve seen Pans Labyrinth and loved it, so I think I’m pretty much into him. Glad you liked it 🙂 If you are going to try out some more ghostmovies I can just as Karl recommend The Innkeepers. I hear you! From your description it sounds like something I should see. Excellent film and excellent write-up Jessica. Like John says, you should check out The Devil’s Backbone if you liked this. As for westerns, Unforgiven is hard to overlook. It’s not just a great western, it’s a great movie. Thanks! One more vote for The Devil’s Backbone, I really need to check that out! Eww. Don’t talk about it. I really can’t see the point of all those quick remakes.